Welcome to the third “A Look Back: Datamining the Future” article where we go over some past predictions based on data files as well as speculate on future content using files we have yet to see on Live! The previous article was the March Edition. Which predictions about RIFT content were correct, how about the ones that were completely off the mark, and which data files have yet to appear on Live? Note: Anything mentioned below is speculation based on existing data. Some of the things mentioned may never eventuate and other speculation could be wildly off the mark. The “A Look Back” section of this series is a brief segment where we take a look at some of the files guessed correctly, or incorrectly from past Datamining articles. Whilst writing this article I discovered that the July 2015 Edition of the “A Look Back: Datamining the Future” series was still in Draft, having never been published. It also contained icons for the various new artifact sights (Poison, Burning and Nightmare), the new marble tile icons from Callweddi and various mounts that are now up on Live such as the Crystalline Lifter, Life Lifter (Callweddi-obtained), Viridian Arclight Rider, the Greathound and various plat-only Crabnarok mounts available under RIFT Store -> Mounts. Big fail on my part. I’ll be sure to check my Drafts every now and then from now on! One of the correct guesses in the March edition of “A Look Back: Datamining the Future” were the addition of player wings. A couple of rigs, config files and icons were pointing to the addition of wings, but there was never anything definitive, with most potentially originating from other existing assets in-game, like the Druid’s fairy pet or the Fae. Thankfully the speculation proved correct: with the Gossamer and Arboreal wings being added to the game during Summerfest 2015. What’s more, the Arboreal wings are able to be dyed, adding a bit of extra variety to the current selection. With the addition of the Succubus Wings during Autumn Harvest 2015, it looks as though we can expect more player wings to come in the new year! It’s the end of the year and 2016 is knocking at the door. A lot was added to RIFT in the past year and the content updates have been going strong. Within just 3 months we’ll be celebrating RIFT’s 5th Anniversary. What can the data files tell us about some of the future content coming to the game? There’s not many new, unused content revealed in the data files, but I’ll list them all below. Hopefully these can tide us info-hungry Ascended over until Game Director Chris “Archonix” Junior’s annual letter (planned for some time in January next year). 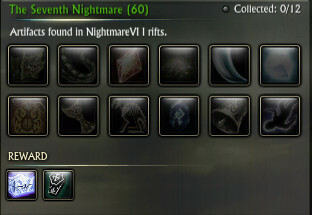 “The Seventh Nightmare (60)” artifact set is still in the game; there’s a Nightmare VII NPC, and the Nightmare 7 icons are still in the files. For all intents and purposes the ancillary components to Nightmare Rift VIIs exist. The real question now is whether the actual rifts are ready or being worked on, and whether Trion still intends to add them at some point down the line. Trion seems to always have a whole range of mounts in storage, ready for a rainy day. There’s still a few mounts whose skins or icons remain unused. With the introduction of the Affinity System in Patch 3.5: Winter’s Wrath, it’s possible that some of these mounts might appear in the Affinity Rewards some time down the road. Added alongside the Midnight Mink Mount in the data files was a white version with a blue hood. There’s both a skin and icon for the mount. “Fae_yule_weasel_02” is the Midnight Mink, and “Fae_yule_weasel_01” relates to the white-blue Mink in the above skin. During the 12th Dec Fae Yule RIFT Livestream, Archonix mentioned that the Merry Mink could land on the Affinity Store “down the road”. Perhaps he was referring to the white-blue Mink mount. 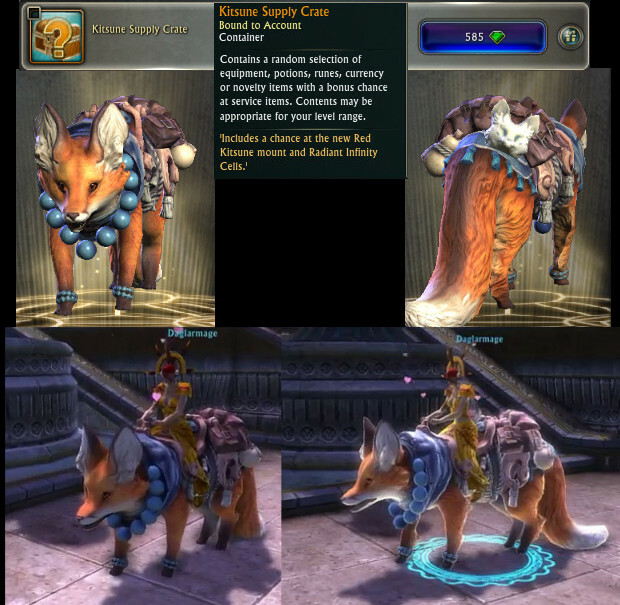 Same with the March Edition, Trion is still holding onto 4 different Kitsune Mounts. There’s only been one Kitsune Mount that has appeared on Live thus far, and that would be the Red Kitsune mount. Of course, these might just be internal names. No information has been provided by Trion about when the remaining four Kitsune mounts will appear on Live, although I suspect at least one might end up going into Affinity Rewards. A ‘Nightmare Lifter’ mount remains in the data files. The design screams ‘The Mind of Madness’ raid, but right now the Conqueror and final-boss-speed-run achievements for the raid are displaying the same reward as the initial-5-bosses-speed-run achievement. There’s also a Nightmare Budgie Mount, although I don’t think it looks as appropriate for a Conqueror achievement compared to the Nightmare Lifter Mount. Who knows, maybe this mount will appear in a Budgie Madness Promo Week, in the future Tier 3 10-man raid, or perhaps as a chase item for the Mind of Madness Instant Adventure that is slated for 2016. Where ever and when ever it may appear, it’ll be the 8th Budgie in the game! Throughout the month of September, the purple, stripped Greathound mount was made available in a Grey2K USA Worldwide promotion via the Limited Edition: Greathound Troves. Concept art from RIFT Lead Concept Artist Sven Bybee’s ArtStation profile shows there are still three more Greathound mounts unaccounted for. 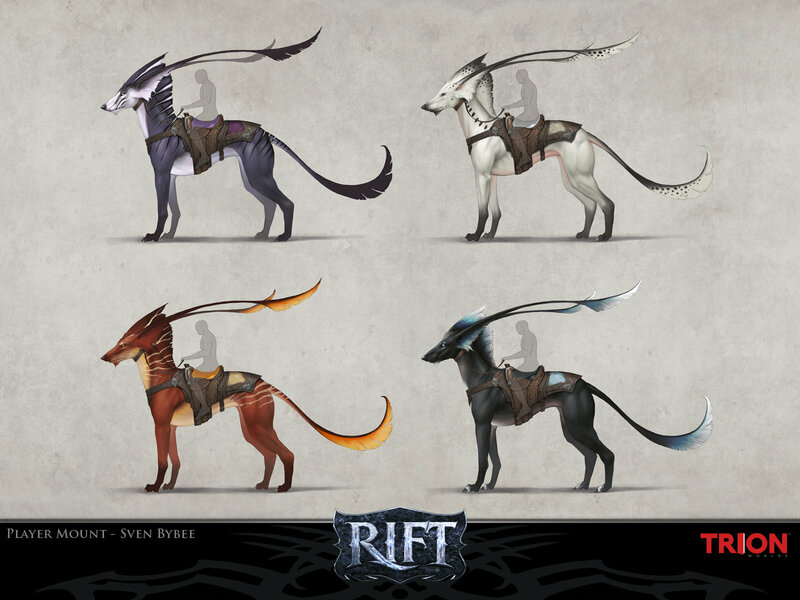 RIFT Concept Art – Great Hound Mount. Src: Sven Bybee. Given the “_02” and as its the only other Greathound mount icon in the data files so far, the White polka-dot Greathound is likely to be the next Greathound that will appear in-game. Speculation is that it will appear in the Affinity Rewards, although Trion could potentially look at adding a new Promo Week to the game given the number of skins already in the files. The Atia, Shal Korva and Peaceful Hills dimension keys from the 19th Nov PTS files are now up on Live, but a few remain unobtainable. It’s unknown at this stage how these dimension items will be added or when they will be made available. Concept art for a new armor and weapon set were revealed by a new Senior Concept Artist, Julien Renoult. Is this for a new raid? Inspired by a new Plane of Water zone, or perhaps a teaser for an upcoming expansion? RIFT Concept Art Horned Skull Armor and Weapon by Julien Renoult. There’s a whole heap of large horns in the artwork reminiscent of the Drowned Prophet gear set, pointing to a Plane of Water set. However, the dark gray color scheme and the skulls on both the armor and weapon set might point to the Plane of Death or Plane of Fire as the source of this set. Why Plane of Fire? Skulls and horns also appear in Fire planar mobs, and one part of the old Lore of Fire article that stands out is the “Platinum Keep” fortress. Platinum is gray-white in color, although it can be quite dark gray depending on lighting. This seems to match (at least partially) the color scheme of the armor in the concept art. Lady Glasya and the Bloodfire Army held some presence in the Nightmare Tide expansion and it’s not too farfetched to assume that some of her siblings (or the Lord of Fire himself) might want to seek revenge over Lady Glasya’s defeat. It’s also possible that the set is related to Myrkur’s Depths, which is touched upon in the Sirens’ Songs. Expanding on that, the empty zone to the right of Draumheim in the Plane of Water could also end up becoming Myrkur’s Depths. It will be interesting to see what Trion does with that area. The red price tags datamined previously still remain unaccounted for in-game. They look like they could potentially fit in the RIFT Store or Minions system, although there’s currently no sign of them. Morticus teased some new dimension blocks that the art team is working on. The left-most building block is clearly semi-transparent. Can’t really make out the rest; could be water blocks. So it’s now 100% clear that these are bundles of dimension keys. Will they appear on the RIFT Store -> Dimensions for purchase? Are they just existing keys, or do each one hide a chance at one of the new dimension keys mentioned earlier? No official information about these dimension key bundles. The Trove Dimension Item Promo Bundle was on the PTS, introduced alongside the Shal Korva Dimension Key Grab Bag. It was supposed to be introduced on Live with the Peaceful Hills Dimension Key. 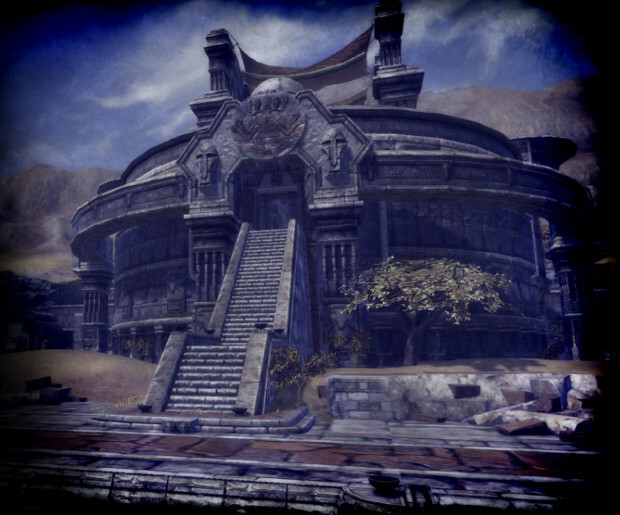 The name ‘Simon’s Playground’ was revealed briefly in the PTS files for 19th Nov 2015. There was a folder called “assets/map/simons_playground/simons_playgroundphysics_0.pak” with 12 uninformative physics files. It was kind of assumed to be Dead Simon’s internal name for the multi-layered Callweddi puzzle. However, Dead Simon reignited speculation during Rift Reforged’s 50th Episode when he mentioned that ‘Simon’s Playground’ might be something along the lines of a puzzle chronicle! No clues about Simon’s Playground besides the name and that it might be a Puzzle Chronicle, with the folder only appearing once with physics files that provide no further information about this content. That said, given what Dead Simon and the team did with the Callweddi puzzle, I’m sure ‘Simon’s Playground’ will be something to look forward to! Nothing too major in the data files, but a whole bunch of mounts, dimension items/keys and ‘Simon’s Playground’ to look forward to in the New Year! Be sure to tune in during January for Archonix’s Letter where he might reveal a little more about content slated for 2016. Don’t forget to check out the PTS/Live Comparison Page for other future additions to the game mentioned by the devs from various sources and look forward to another “A Look Back: Datamining the Future” article some time further into the new year! I don’t think the Lord of Fire would give a damn about his daughter being killed. His personality from the short story just doesn’t seem like it. He’s more likely to just create another daughter than avenge the one he lost. Still, considering how the Bloodfire army has been involved, it’s not farfetched that the next expansion could be in the Plane of Fire. Plus, fire is the opposite of water. Thematically, it would be fitting to go there. Another possibility is the Plane of Air. Remember how Trion tested our tolerance to underwater zones by creating that underwater zone west of Ember Isle? The Planetouched Wilds, the most recent zone, introduced a nifty jumping ability. That could be a test for the Plane of Air. Maybe we’ll travel in the Plane of Air like that. Plus, our involvement with Crucia and the fact that we learned that the Storm Legion still exists on the Plane of Air. That’s quite likely for the Lord of Fire. The Plane of Air would also be quite interesting, and you’re quite right that there’s a lot of air-based additions in the Planetouched Wilds. The airship quests and floating platforms might be testing how those features would work out for a Plane of Air expansion.